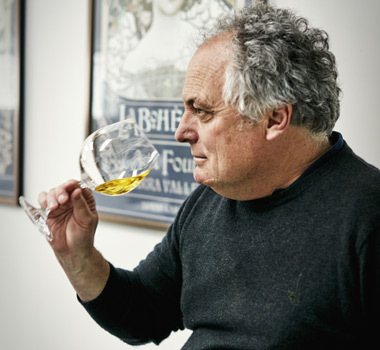 Home > Selector Magazine > Wine > Bleasdale's Paul Hotker Loves Wine - And Bacon! Bleasdale's Paul Hotker Loves Wine - And Bacon! The Bleasdale Frank Potts Cabernet Blend 2013 is our May Wine of the Month, so we caught up with Bleasdale's senior winemaker Paul Hotker. I can't remember any specific bottle, does Stone's Ginger Wine count? There was always wine at the table growing up, plenty of West Oz Cabernet as I grew up in Perth, and Eden Valley Riesling, I still drink these wines. I remember drinking some beautiful Rutherglen Muscat in my early 20s, as well as cellared Bordeaux and Margaret River Cab - wines that probably set me on the path to the wine business. Do you have an all-time favourite wine? I'm not usually one for favourites, but Hugel 1989 SGN Gewürztraminer was an unexpected gem in a tutored tasting about 15 years ago, and I got to take the leftover bottle home. Sharing great bottles with friends and family and those who appreciate it is always fun. Most recently, my last bottle of 2001 Semillon made at uni (good but not great) served blind with the mates who made it 16 years ago. We drank far better wine after this prelude to dinner. I drink widely, but also seasonally. Late summer and into autumn usually Pinot Noir, Grenache and blends, mature whites - aged Riesling, Chardonnay and Sancerre. Later autumn and into winter, mature reds and whites. As spring and summer come along, younger whites and reds with vibrancy: Riesling, Traminer, Sauvignon Blanc and blends, younger Shiraz, Cab Merlot blends, etc. Roast chook and Chardonnay, always a favourite, particularly during vintage. I don't have a signature dish, it depends on the season. Roast pork with redgum smoke I make at all times of the year, I love the challenge of 100% crackle! Very keen on the flame grill, just about anything: beefsteak, lamb chops, butterflied chicken, and I love slow cooked meals in winter: roast chook, osso bucco, boeuf bourguignon are all perfect with mature reds. What is special about your wine region? How do you relax away from the winery? I'm a keen reader, I love cycling through the Adelaide Hills, which is on my doorstep. I like playing board games and puzzles with the family: chess, scrabble, UNO, snap, just about anything. I love Kangaroo Island, easy to get to from here and great to slow the pace down a few notches. No favourites, but I just finished the Harry Potter series, couldn't put it down. No favourites, but I prefer independent films, I recently saw Paterson, which was a cracker, as was Drive. Locally, The Olfactory Inn at Strathalbyn is excellent. Can't go past bacon and eggs, everything tastes better with bacon. BLT, everything tastes better with bacon. Roast pork, that's close to bacon, right? Shiraz was next, or I should say Syrah, as this is what Leanne and Steve call most of their Shiraz, as it’s closer to the European, savoury and mid weighted style. The 1992 Estate bottle showed how beautifully these wines can age with delicious leathery development and a soft core of plummy, black cherry fruits. The 1999 was similar, whilst the still very youthful 2004 Reserve was mirroring the stylistic, bright fruited, savoury and textural changes that had occurred with Chardonnay and Pinot at that time. The 2008s, one with Viognier, one without, were both excellent; broody and lifted with silky mocha lines. Lastly came the 2014 and possibly the most exciting Australian Shiraz tasted all year. Juicy and complex with fine layers of mace, five spice, white pepper and mountain herbs, it had soft tannins and layers of acid that make the mouth hum. Looking ahead The De Bortolis have certainly put their stamp on the world of wine and equally, Leanne and Steve on the Yarra. 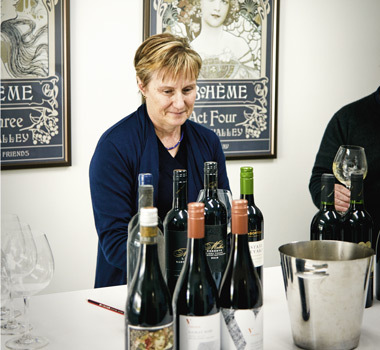 Their genuine love for the place that they call home shines through in the wines they produce and share. As for the next chapter, Steve and Leanne are keen to provide a sustainable future for their kids and enjoy their home. “The Yarra is a beautiful part of the world,” said Leanne. “There’s a wonderful food and wine culture with cool people doing cool things with gin, beer, cider, wine and food. What’s not to love?" 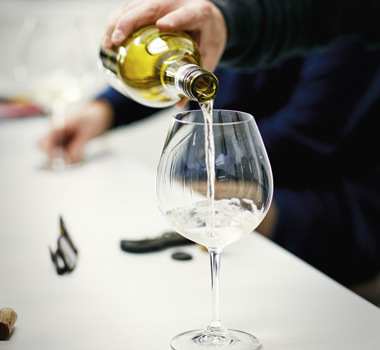 Enjoy a De Bortoli dream tasting of your own De Bortoli Section A5 single Vineyard Chardonnay 2015 Restrained, fine and seductive with elderflower, lime and peach blossom aromas and balanced layers of white peach, citrus and grapefruit flavours. De Bortoli PHI Single Vineyard Pinot Noir 2014 Captivating and ethereal with complex dark cherry, stalk and mineral aromatics. The palate is savoury, textural and fine with plums, spice and blackberries. De Bortoli Section A8 Syrah 2016 Concentrated and fine with perfumed, floral, black fruit and spice aromas. Generous, mid weighted and savoury, dominated by cherries and plums. 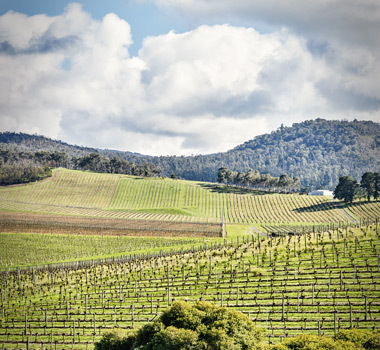 If you are an Australian wine lover and haven’t heard of Castagna, don’t be surprised. 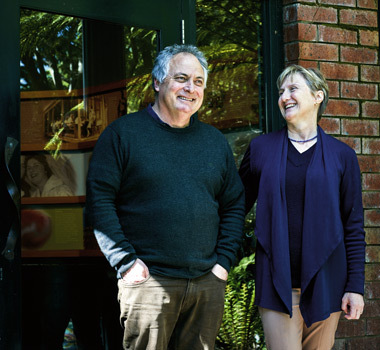 Julian Castagna and his family, located just outside the Victorian Alps town of Beechworth , produce a small range of high quality, biodynamic wines that fly well below the radar. They aren’t in any of the chains and to find them you will have to visit one of the handful of independent wine shops scattered around the country or be sitting in a restaurant looking at one of the few special wine lists that carry them. There is no cellar door that you can ‘just visit’, you have to make an appointment. And, if you are not on his mailing list or buy directly from his site that often has ‘sold out’ next to his products, you will struggle to find them. It’s no accident that these wines are not easy to find. A filmmaker earlier on in his life, Julian understands the value of having to dig to search something out, get to understand and eventually cherish it. The Genesis range, like all the Castagna wines we tasted, presented somewhat of a conundrum. Old wine that tastes young?! Australian Shiraz that tastes like France?! Three examples of Genesis followed and if there was going to be red wine that showed you what was possible with Shiraz from Beechworth, these wines would have to be at the top of the list. Julian’s intention is clear with Genesis in that he wanted to emulate the best Shiraz in the world and for him, these are the great wines of France’s Rhône valley. 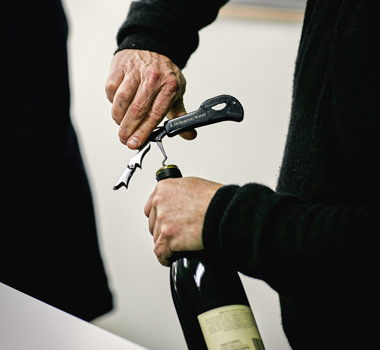 Like the medium weighted, fine and perfumed wines of Côte Rôtie, Genesis has a small amount of Viognier co-fermented with the Shiraz, but the wines show characters from other great Rhône regions. The 2005 had the gnarly grunt and structure and spice reminiscent of Cornas, the 2004 had the earthy complexity and slippery mouthfeel of Hermitage, and the 2010 had the dried herbal aromatics and tight, complex black fruited layers and youth that had not decided whether it was Côte Rôtie, Cornas or Hermitage. We rounded out the tasting with Castagna 2009 Sparkling Genesis. This is the same wine as the still Genesis, but it has spent two years on its lees and has been treated with a nicely balanced dosage that keeps the acid in check and the tannins slippery. Quite possibly the best in the country, this wine has complexity and depth in spades and the savoury, medium-bodied fruit makes for a compelling and delicious mouthful of bubbly Shiraz. The Genesis range, like all of the Castagna wines we tasted, presents somewhat of a conundrum. Old wine that tastes young?! Australian Shiraz that tastes like France?! Beautifully crafted, insightful wines using weird farming practices from someone with no training? And from a place that is not considered a major region? It’s a beautiful, inspiring story made sweeter by the wine that underpins it.